China has reiterated its stance on the South China Sea issue, noting that it is the country’s legitimate right to deploy military facilities for defense in its own territorial islands. “It’s within China’s sovereignty to deploy troops and weapons on our islands and reefs in the South China Sea. It’s allowed by international law,” said He Lei, vice president of the Academy of Military Science, at the annual Shangri-La Dialogue in Singapore, in response to comments by US Secretary of Defense James Mattis. Mattis had said that China’s weapon installations in the South China Sea are directly tied to military purposes, and warned of consequences. “Anyone who makes carping comments on this is trying to interfere in China’s internal affairs. It’s not worthy of refuting,” commented He. Last Sunday, China dispatched warships to identify and expel US Navy vessels sailing near Chinese islands in the South China Sea. China’s Ministry of National Defense and the country’s Ministry of Foreign Affairs strongly criticized the US move, saying Beijing resolutely opposes such actions that go against Chinese laws and international laws. Beijing also noted it will continue to take all necessary measures to defend its national sovereignty and security. On Saturday, Mattis commented on the upcoming summit between US President Donald Trump and the DPRK’s leader Kim Jong Un, which Trump a day before said will go ahead as originally planned. Mattis said the presence of the US troops in the ROK was not on the table when Trump and Kim meet, but left the door open to the issue being discussed down the road between Seoul and Washington if certain conditions were met. In addition, the US official announced he would be traveling to Beijing later this month. He, also head of the Chinese delegation to the security event, welcomed Mattis’ upcoming visit to China. 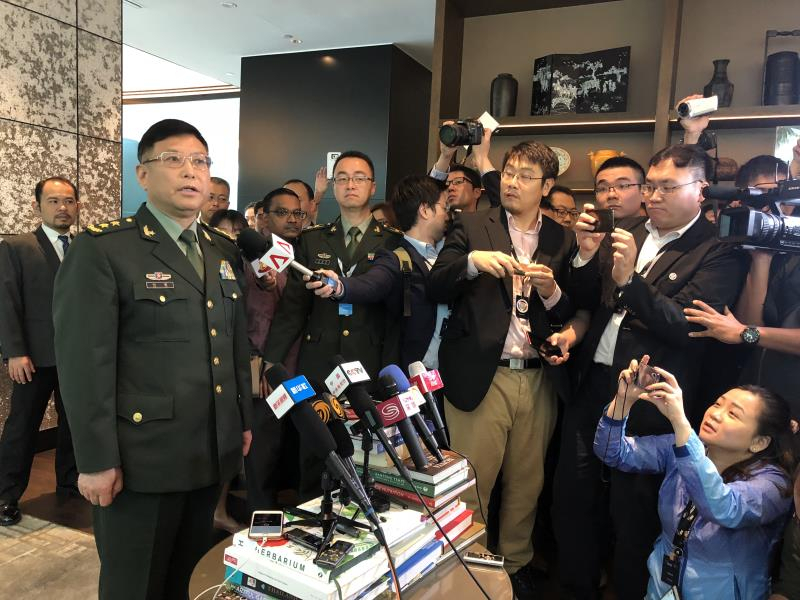 The Chinese military official said China values ties with the US, and looks forward to deepening strategic mutual trust so as to make contributions to the world’s peace and stability.